With the coming release of my book, Redemption, I thought this would be the perfect time for a visit with one of my editors, Sharon Stogner. This is the second time I’ve worked with Sharon and won’t be the last. Could you give the readers a general explanation of the specific type of editing you do? Sharon: There are four general types of editing: content, line, copy, and proof reading. The first three can blend into each other. Proof reading should be the final step and only happen when no other changes/rewrites are going to be done. Every time you change something, you run the risk of introducing more mistakes. Don’t proof until you are ready to turn that sucker in. I can do all four types, but for the best possible result, you need to make each step separate, which is what happens in the big five publishing houses. To save money, writers will combine some of the steps and you can get away with that to an extent, but only doing one round of edits isn’t going to give you a quality piece of work. At the minimum, you need two rounds of editing, plus a final proofing. I would also suggest using someone different to do a beta read. 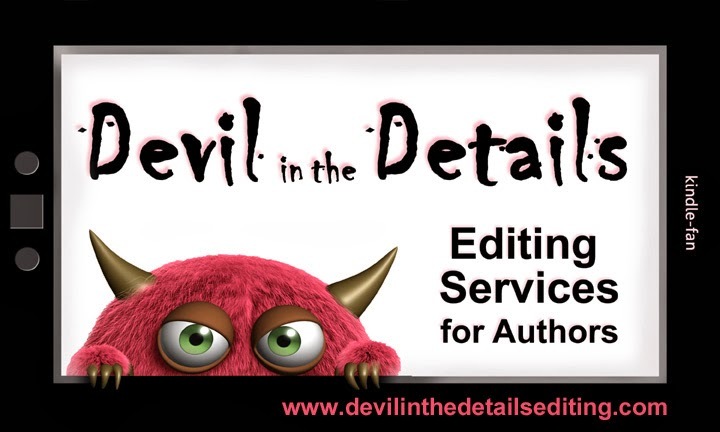 I explain the differences between the types of editing on my website. New writers need to understand editing is subjective. One writer will think Joe Editor is brilliant, but another writer will think Joe Editor is an idiot. You have to find an editor you trust, and unfortunately, this is a trial and error process. Why did you decide to get into this line of work? Sharon: A few years ago, I started beta reading for some of my favorite authors and I loved it! It is like solving a puzzle. I make sure all the pieces are in the right order and fit together seamlessly. I have a natural talent for the line editing process. If there is a plot hole or inconsistency, I will find it. The authors I helped encouraged me to become a freelance editor. They found my contribution valuable enough that they were willing to pay for the service. You also run a successful blog, which entails covering a lot of book events and conventions. How do you keep up with everything? Do you think you would be able to juggle both if it wasn’t a passion of yours? Sharon: I was running I Smell Sheep with my partner Katie Dalton and doing beta work at the same time so switching over to freelance editing wasn’t that hard. There is a lot more pressure now. When you edit for free, no one can complain.When they pay for it, they have the right to judge my work. I absolutely love doing both so I have to split my time between the two. It is a practice in controlled chaos. There are a lot of good books out there, but what do you think it takes to make a great book? Where do you think a lot of books fall short? Sharon: Ack! That is a tough question, since what constitutes a good book is subjective. But there are books that have mass appeal and success. Editing (all four types) is what gives a book a chance to succeed. A poorly edited book will be put down after one chapter by most readers/reviewers, and a publisher won’t even read past the first page. After editing, I think voice is what makes a great book. If you can make a reader experience your story, not just read it, then it will be successful. If a reader has to trip over long descriptions, awkward sentences and a choppy plot, they will be too busy trying to understand and won’t be able to immerse themselves in the story you have created. Are you working on anything exciting right now? Sharon: Always. I love connecting readers to authors who will rock their world, through I Smell Sheep. I get a rush from finding a new author and being able to help them become successful. I just finished editing some stories for some of my favorite authors (like Donna Augustine!) and I can’t wait for the readers to get a hold of the stories. They are amazing! What are your future plans for your editing business and blog? Sharon: Just continue to earn the respect and trust of everyone who works with me and improving what I do on both fronts. What? you mean there’s supposed to me a moment BEFORE publication day when there are no more changes being made? Ha ha! I know, I know, I can;t stop messing with things…. Besides all the little things, she saved me from two mess ups in this last book that could have been really embarrassing!